The key is to focus on connecting clinical staff with each other. Electronic Health Records (EHRs) provide the data piece of the puzzle, but lack the capabilities needed to enable real collaboration across teams, departments and organizations. EHRs capture the clinical decisions that were made, but miss the essential context around those decisions, the conversations that brought the team there. Effective provider collaboration requires another layer on top of that data: a digital collaboration hub. 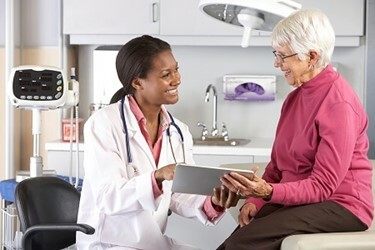 The hub can serve as a central point for every stakeholder in the care coordination process, both formally and informally, bringing together people and information in a “one stop shop.” A digital platform can help clinicians share knowledge across locations, communicate policies and procedures, convey standardized care protocols, collaborate across teams and more. The largest healthcare system in the U.S. uses a collaboration and communication hub to connect hundreds of thousands of employees working at nearly 2,000 facilities. They report that their hub helped improve access to care for millions of patients while increasing productivity and reducing costs. A leading health system in the Western U.S. uses its hub to onboard and mentor a large nursing staff, significantly speeding up its onboarding processes and achieving time and cost savings due to reduced need for in-person training. Another national healthcare system focuses its hub on preserving and disseminating critical knowledge. The hub played a key role in preventing “brain drain” during a recent wave of retirements. These examples showcase the powerful ways a digital collaboration hub can serve as an antidote to the fragmented, difficult-to-use tools that busy medical staff are currently forced to use. By connecting organizations and clinicians anytime, anywhere, they help health systems socialize new policies and practices, drive greater adoption of value-based payment models and more. In particular, with value-based care, it’s critical for the organization, doctors and departments to all work well together. Because they are paid a single fee that’s based on showing evidence of improvement in continuity of care, collaboration is a huge factor of success in this emerging model. Effective collaboration and communication creates accountability by bringing the entire care team into a collaborative environment. This keeps all caregivers on the same page by making it easier for them to manage conversations associated with transitions of care. For instance, specialists consistently receive clear reasons for a referral and adequate information on tests that have already been done. A digital hub also helps scale existing care coordination resources to provide increased service to more patients – improving aggregation, analysis and communication of patient information. Finally, this kind of virtual meeting place streamlines communication around best practices, onboarding, M&A, organizational news, strategic alignment, continuous education, the IT help desk and more. It ensures real-time, interactive engagement while allowing the organization to see the results of its communication efforts through reports and analytics. What Are The Critical Requirements Of A Digital Hub? To be effective in a healthcare environment, any digital collaboration hub should provide an excellent mobile experience. It must offer deep integration capabilities to connect siloed content across systems as well as organizations, as well as the ability to deploy easily and get users up and running fast. The hub should provide all the features necessary to replace outdated solutions like static intranets with something engaging and intuitive. And of course, security is crucial. Any collaboration solution should be fully compliant with the Health Insurance Portability and Accountability Act (HIPAA) and any other relevant regulations. Can more efficient, effective communication and collaboration solve all of healthcare’s woes? Of course not. But it fosters an environment in which every member of the care team can successfully work together toward better outcomes – from avoiding delays in scheduling, billing errors or patient stress, to the life-or-death decisions that clinicians make every day. With improved communication, healthcare professionals not only benefit from having the latest data at their fingertips, but from better understanding its meaning and context. Perhaps most importantly, streamlined collaboration saves time and effort on the little things so that everyone can focus on what really matters: patient care.